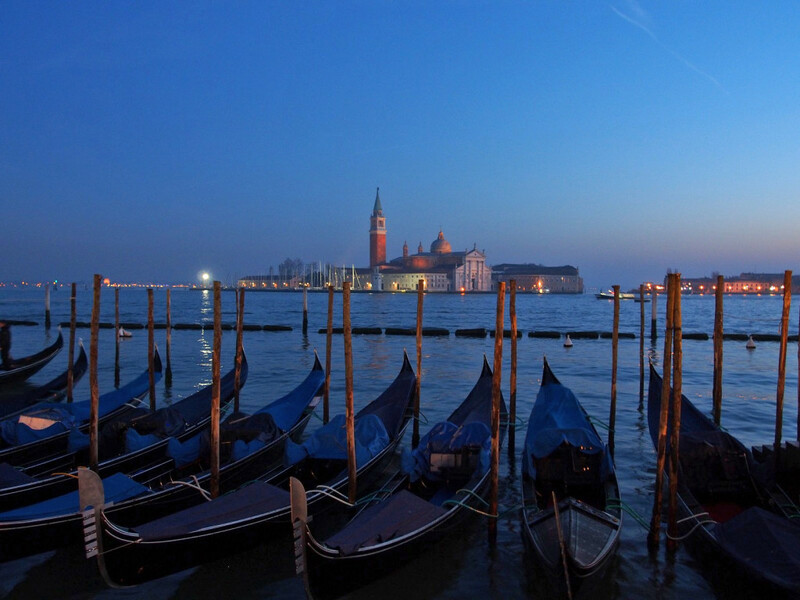 In the north-east of Italy, near the northernmost reach of the Adriatic Sea, lies one of the world’s most recognizable cities: Venice. Finding great wealth through trade and naval power for over a millennium, its importance waned after the 16th Century – but the grandeur of the city and its unique system of canals in place of roads remains. 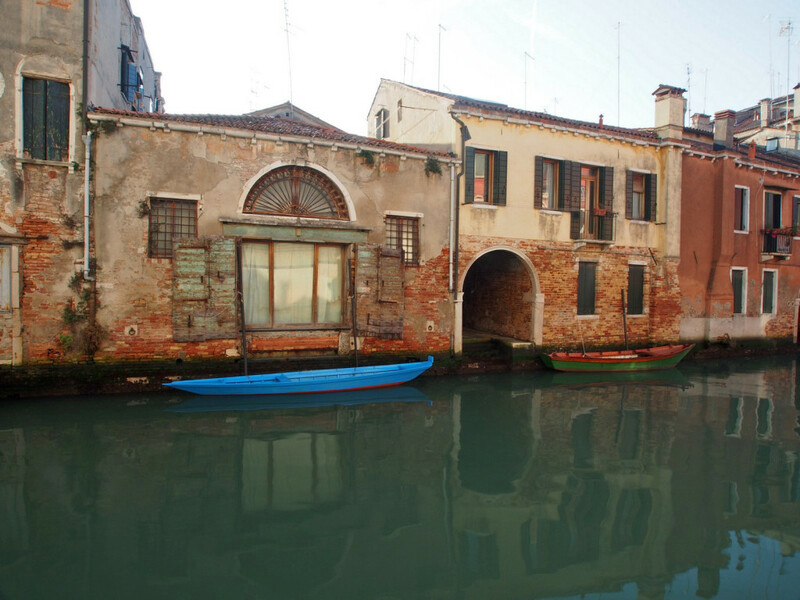 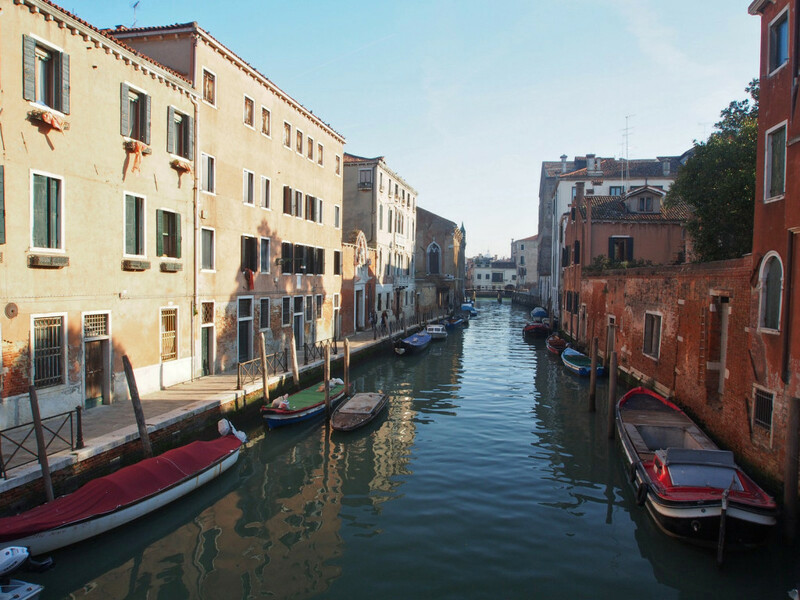 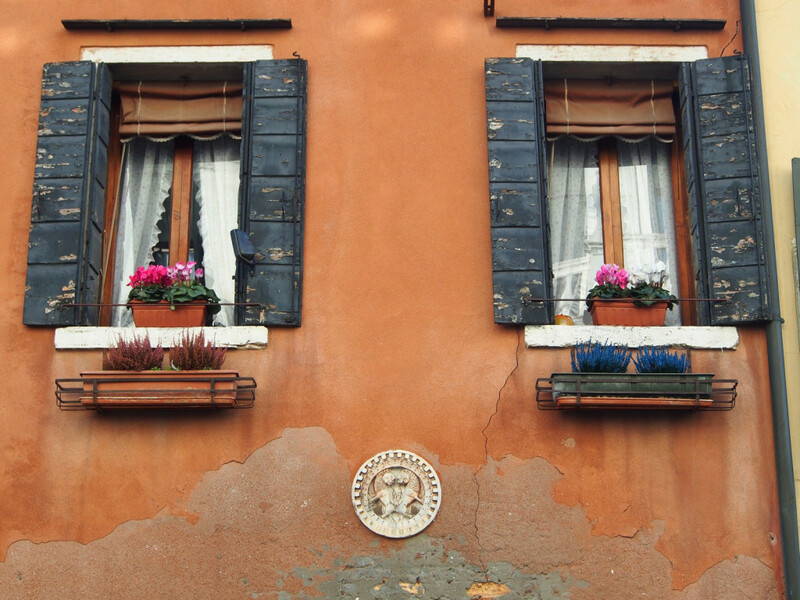 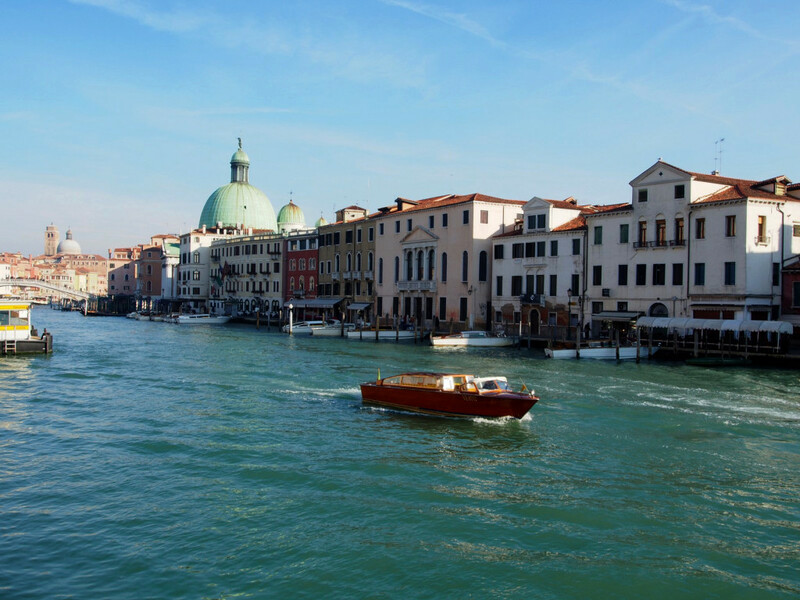 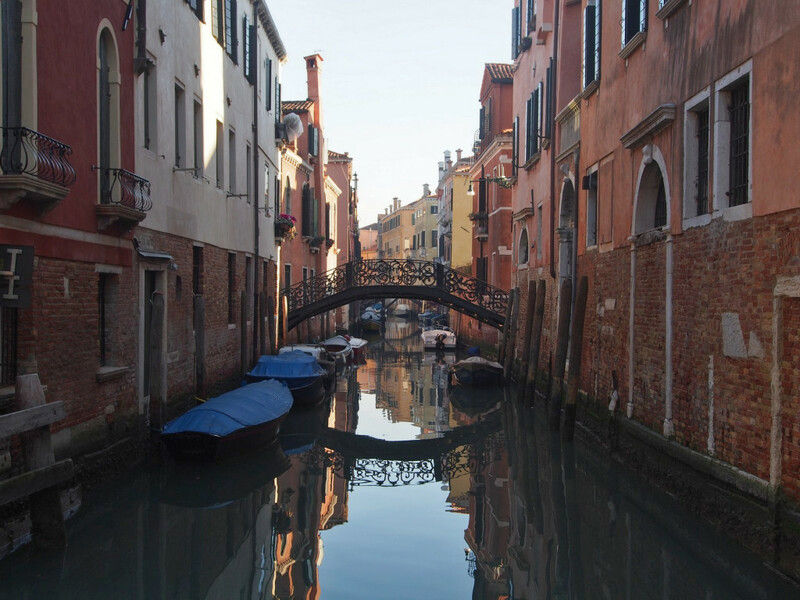 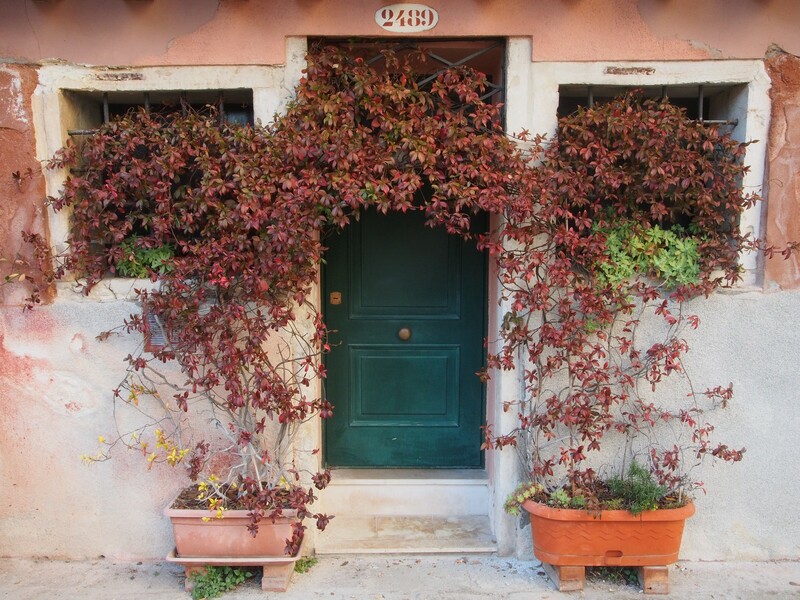 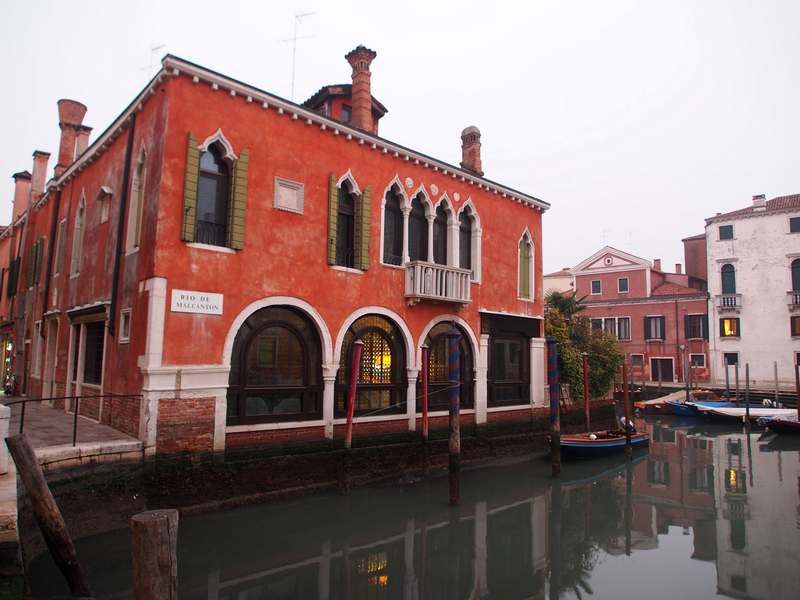 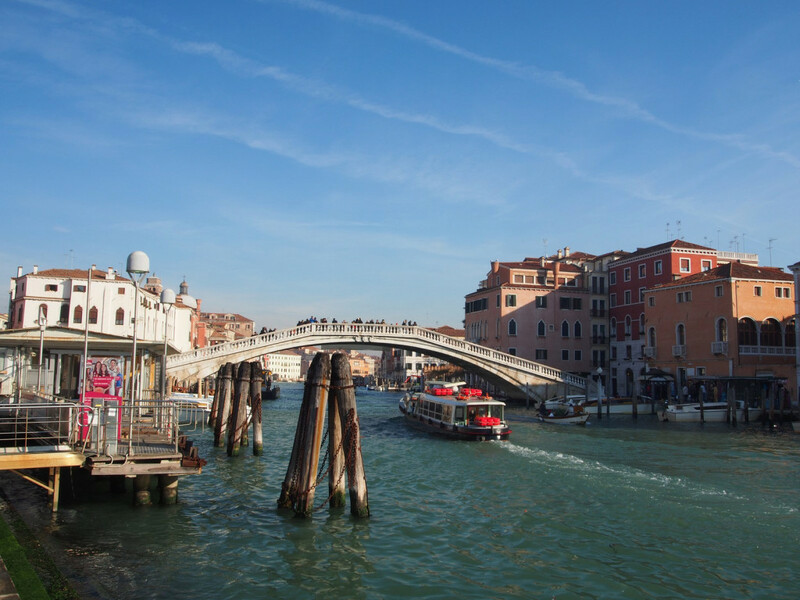 Built over a series of tiny islands stretching over a lagoon, Venice is small by modern standards, but full of character. 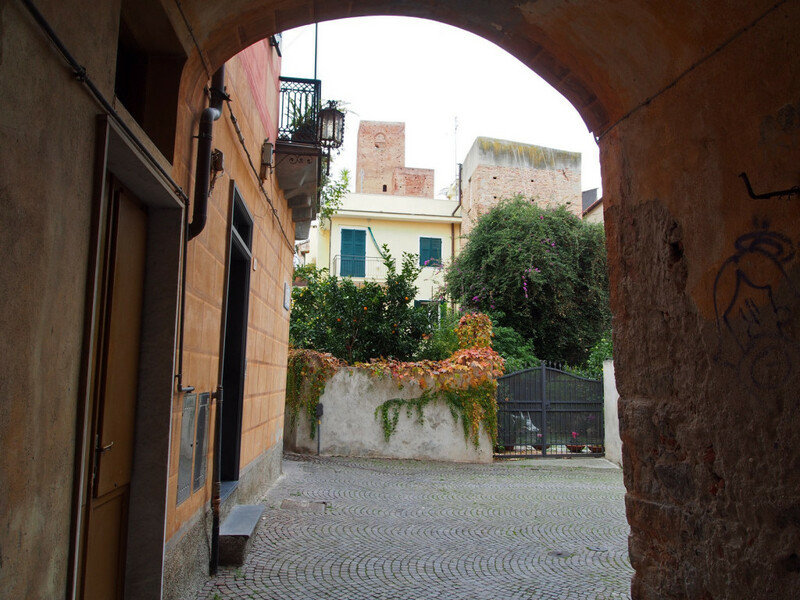 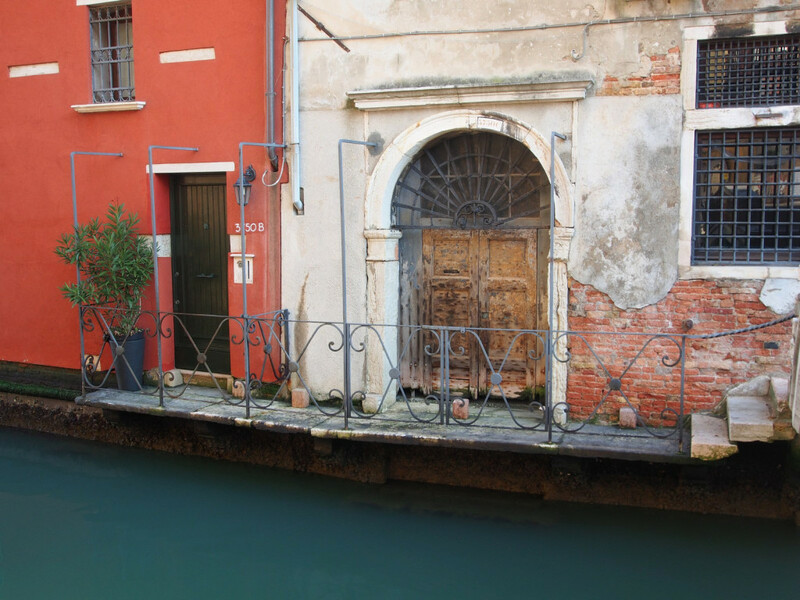 Almost every house in the city has two doors – one onto the small pedestrian street, and a ‘water door’ leading to the canal. 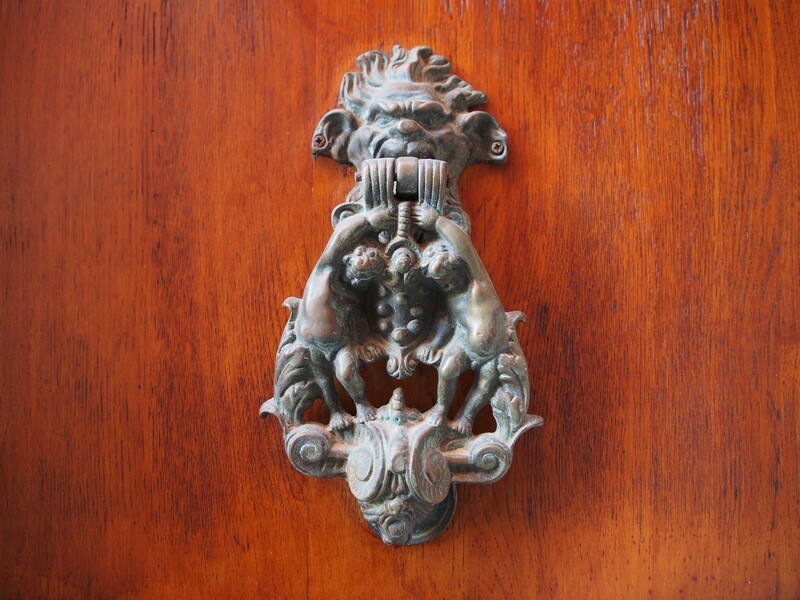 As ever, I love picking out the small details that add hugely to the ambiance. 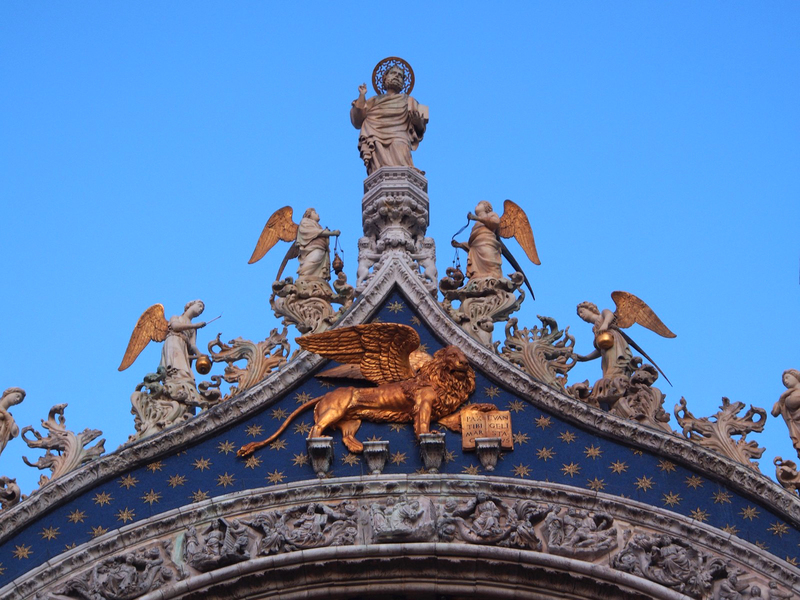 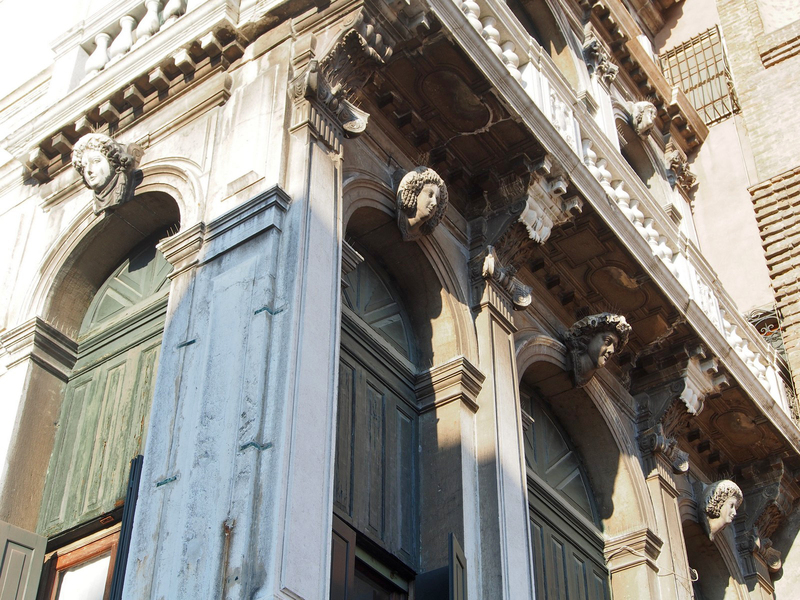 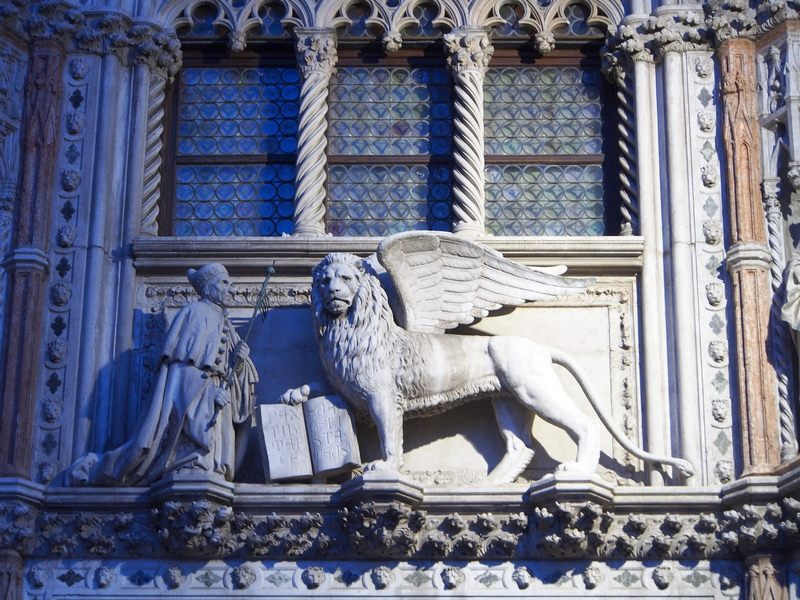 Here, it’s particularly the winged lion motif, the mascot and herald of Venice. 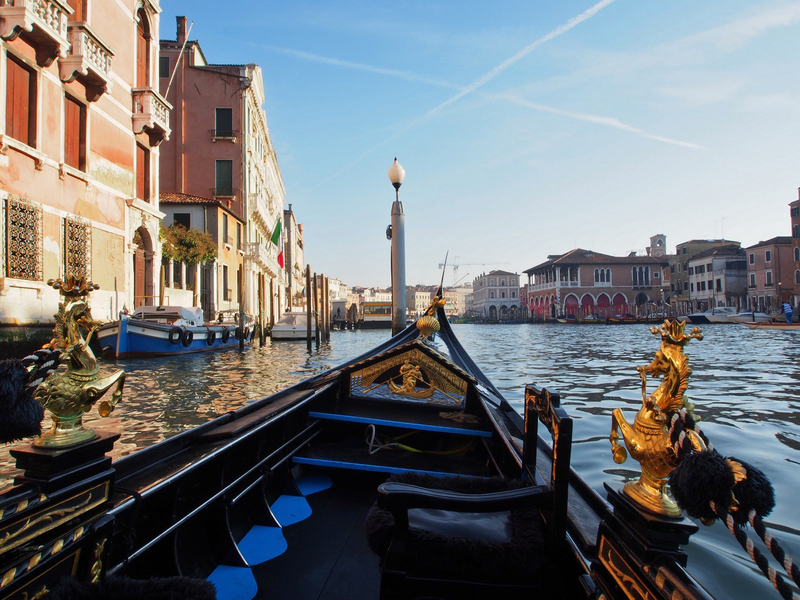 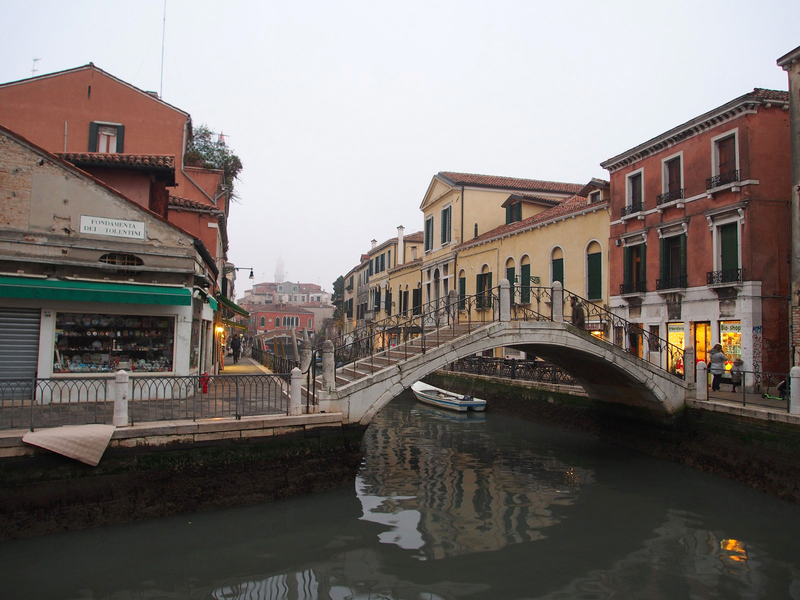 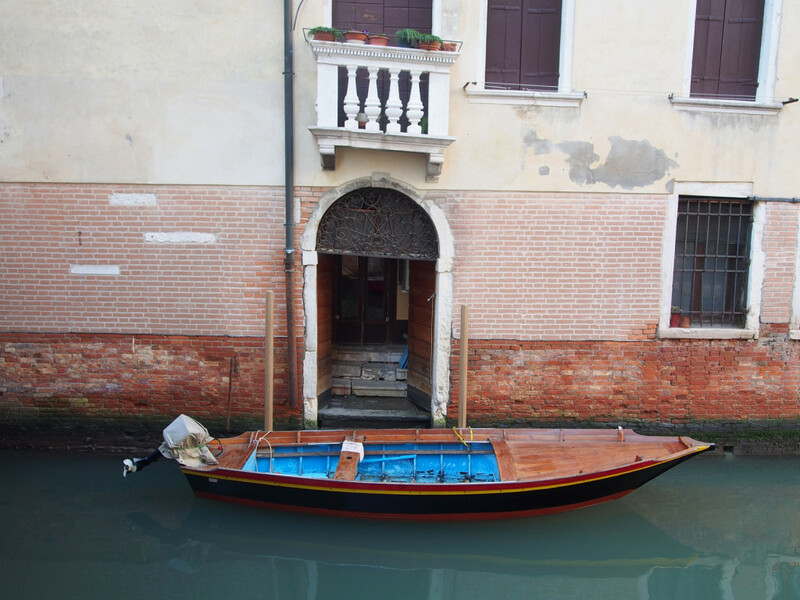 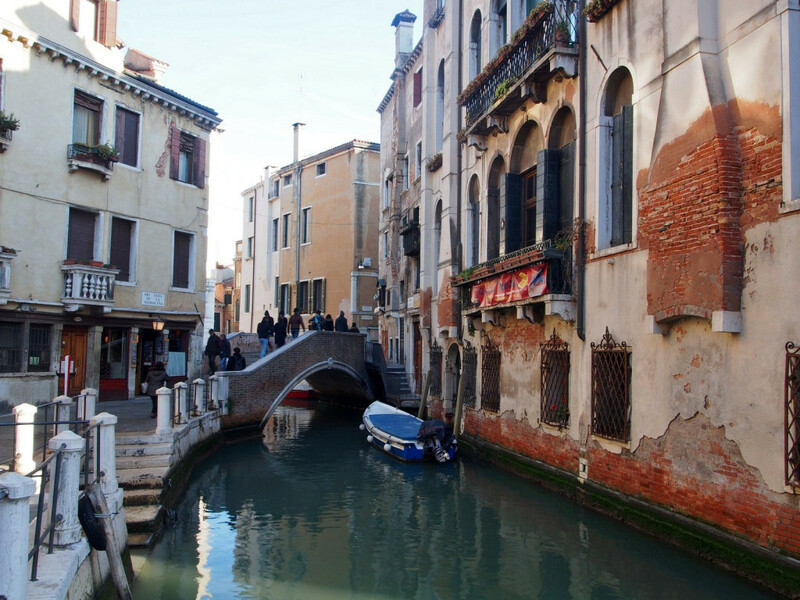 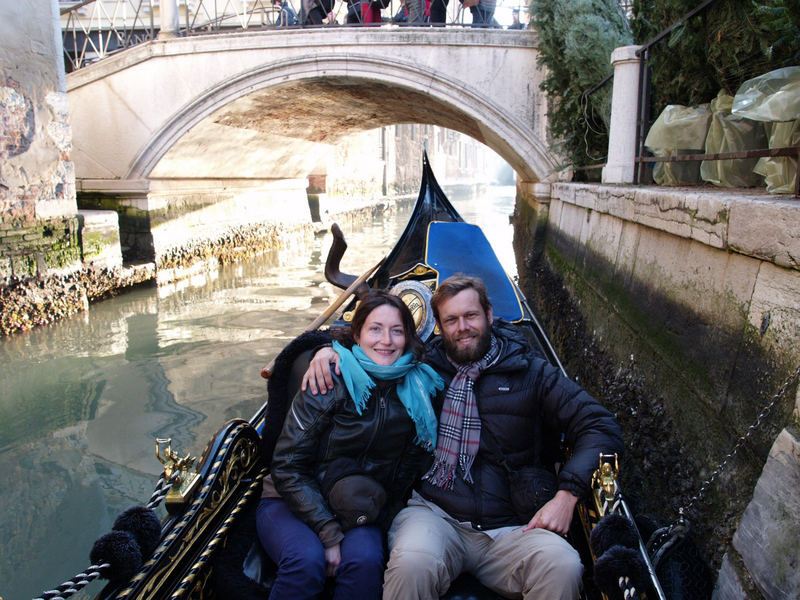 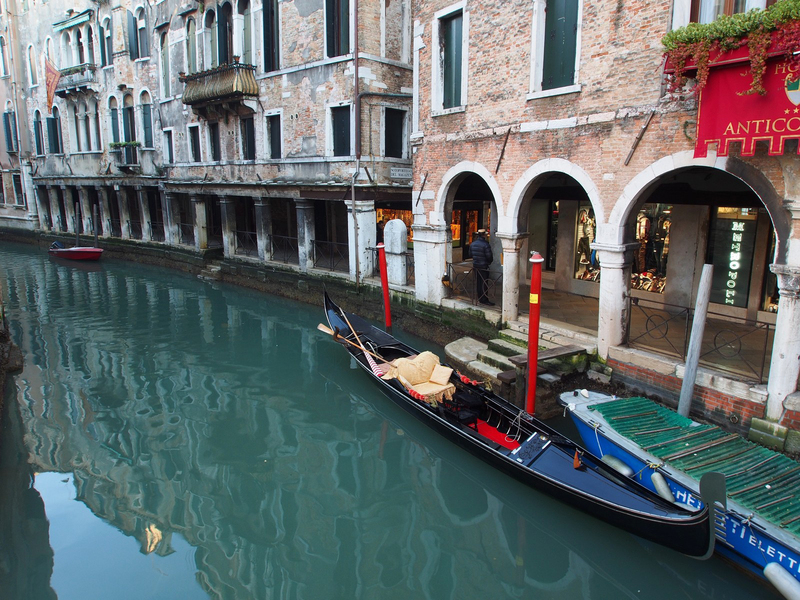 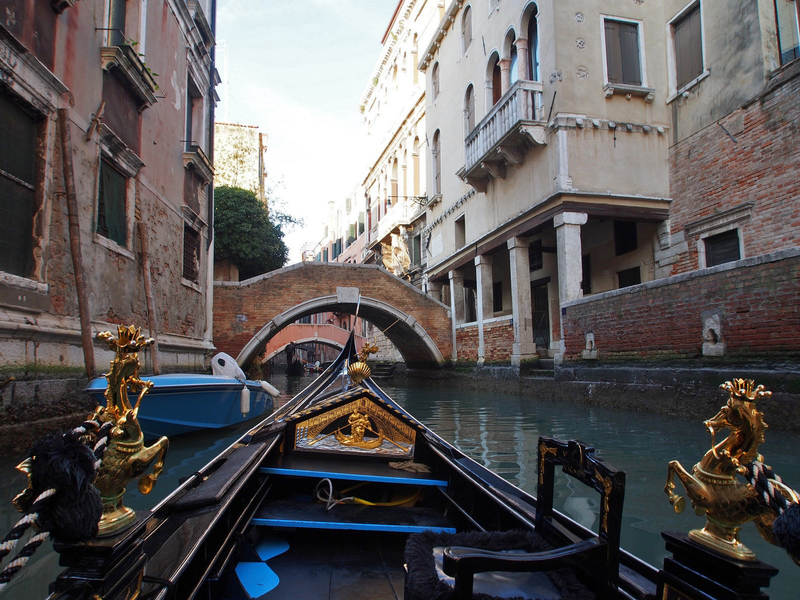 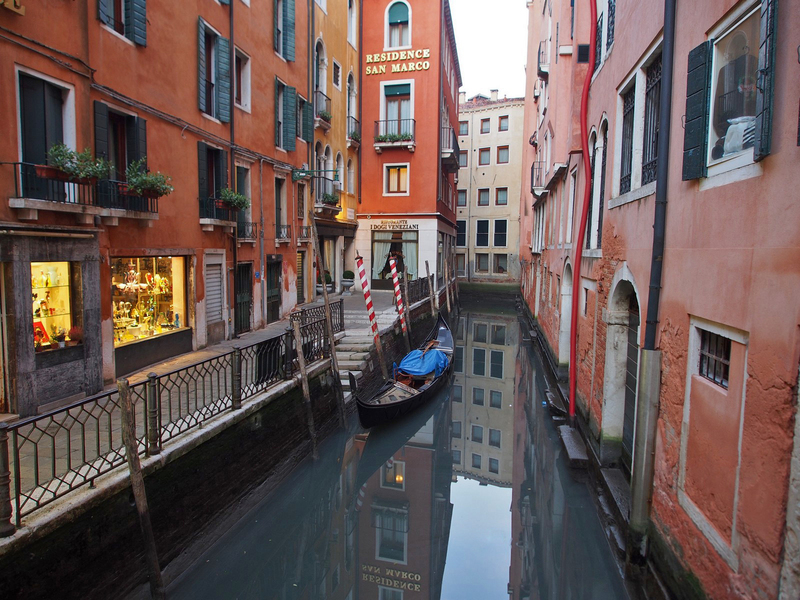 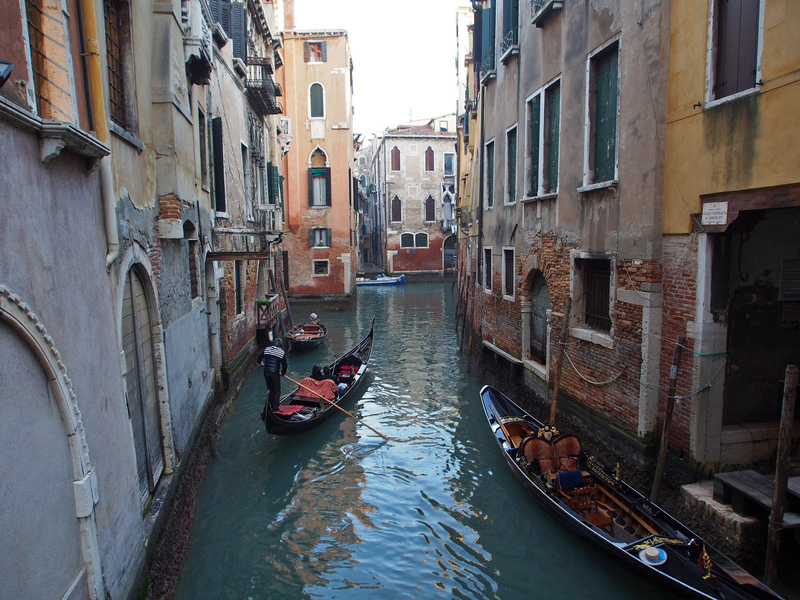 Although it’s now just a tourist-trap, it’s hard to resist the unique experience of a gondola ride along the canals. 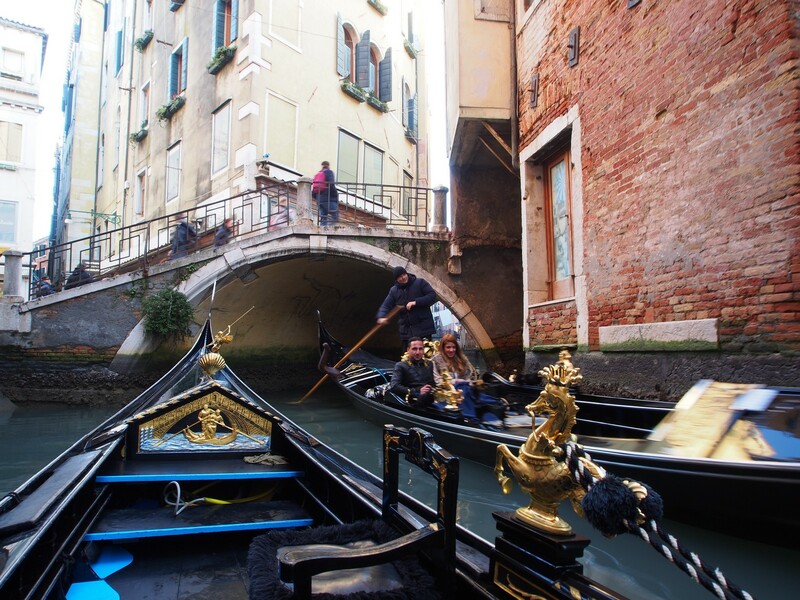 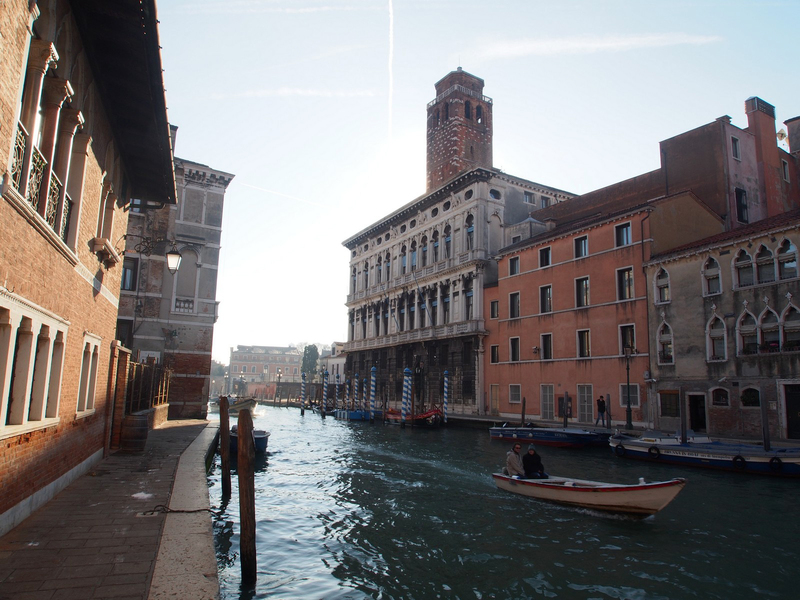 You feel like you’re in a movie, particularly when the gondolier starts singing! 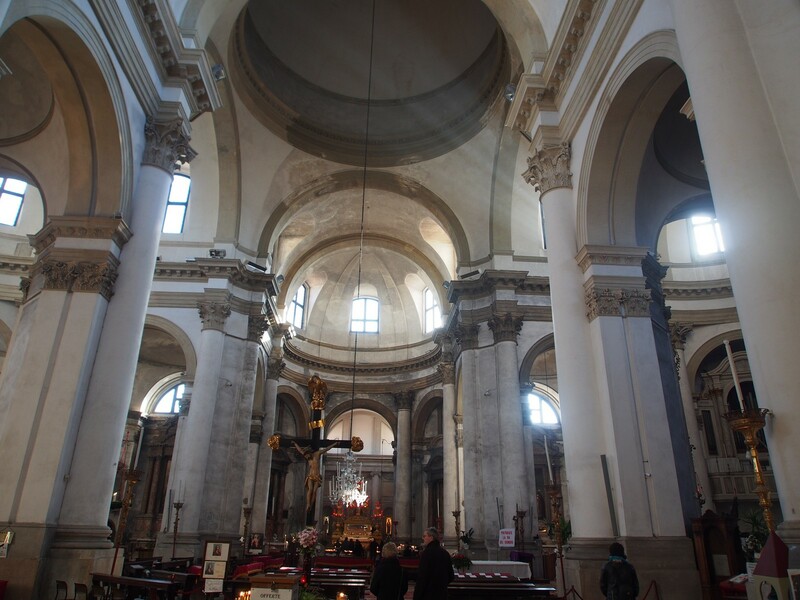 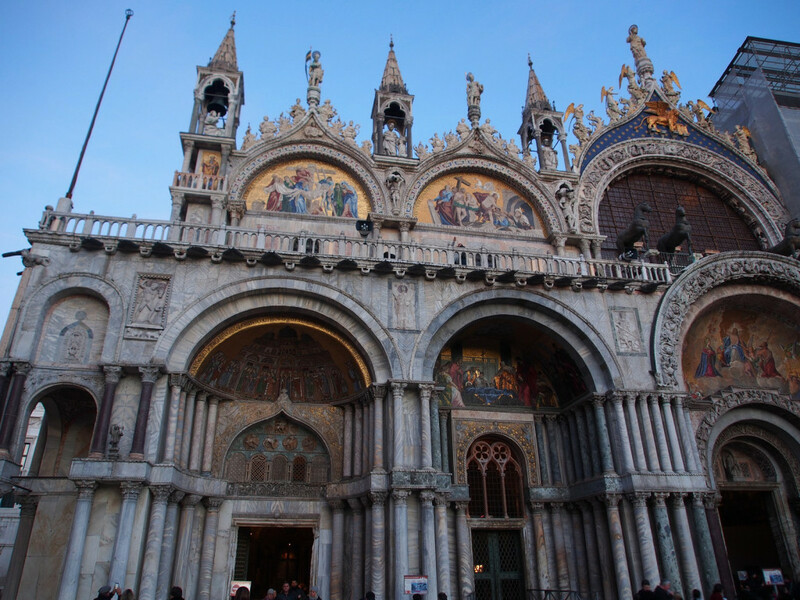 As is normal in rich medieval cities, the churches are the grandest and most ornately decorated buildings. 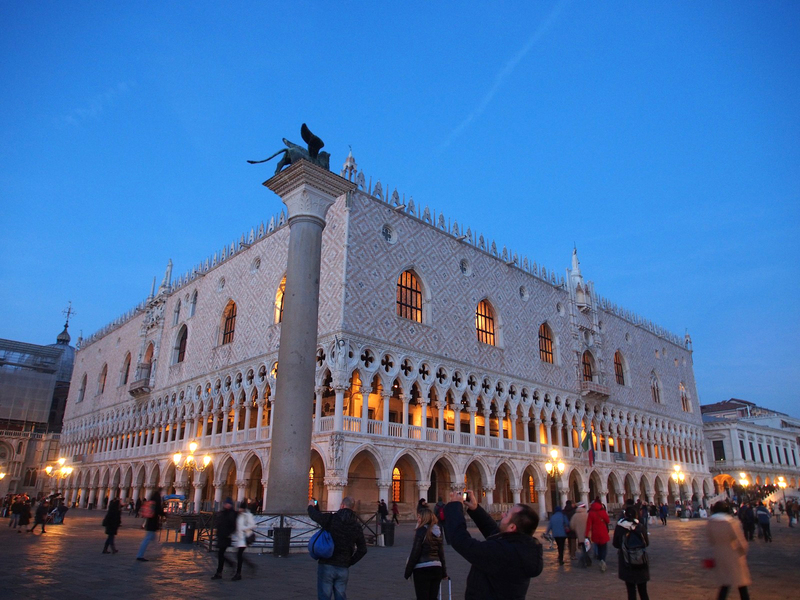 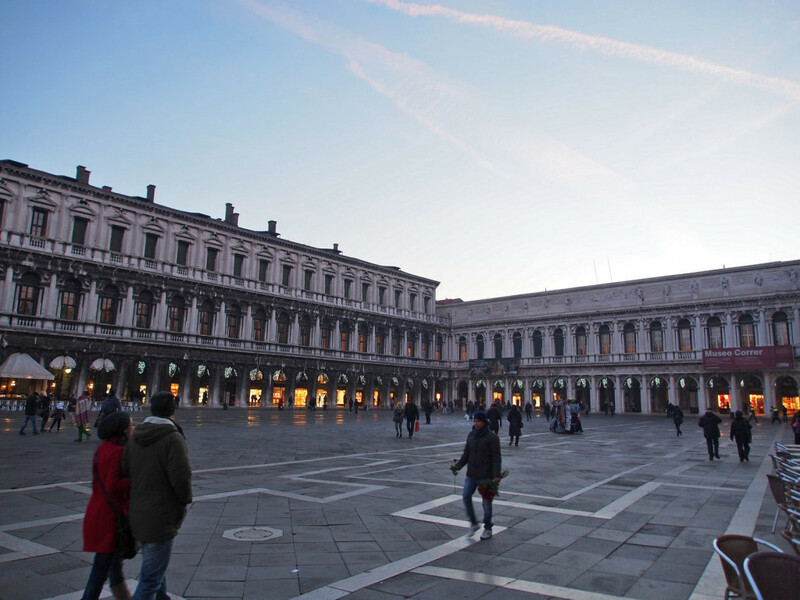 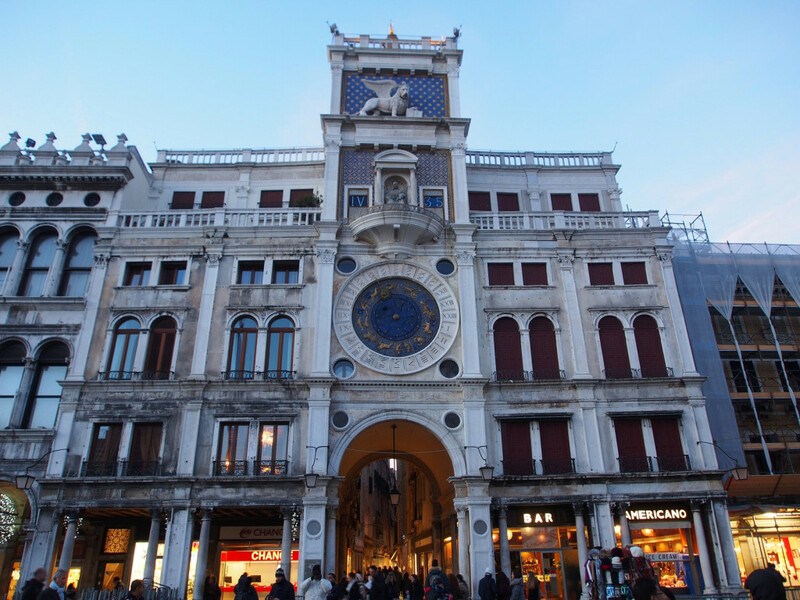 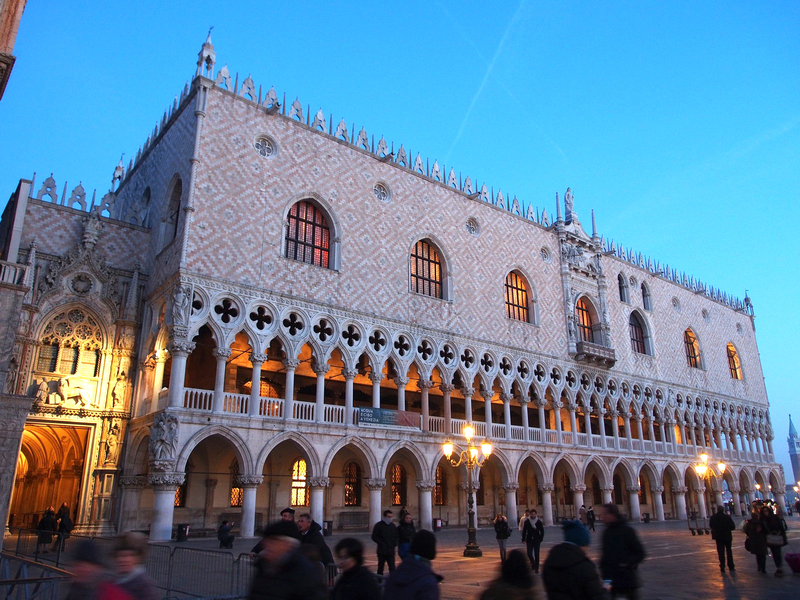 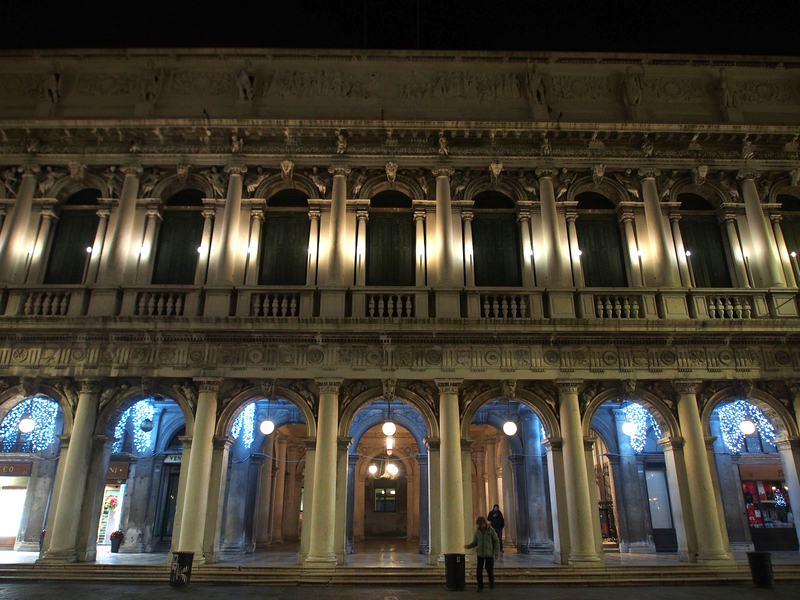 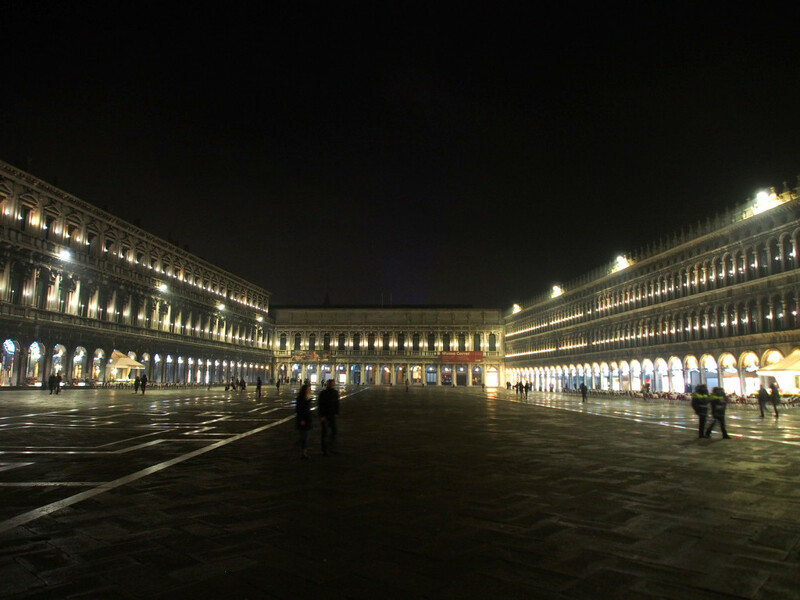 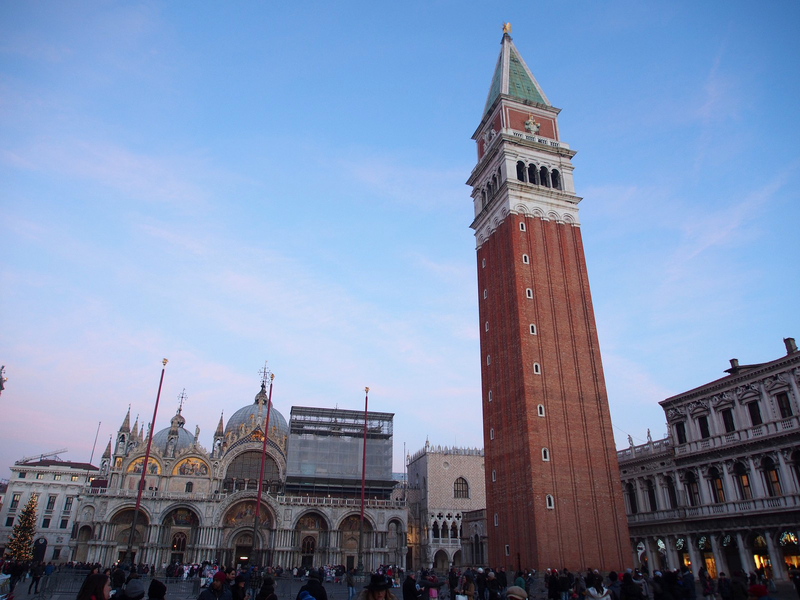 The centrepiece of the city, both visually and politically, is St Mark’s Square, home to the St Mark’s Basilica and the Doge’s Palace (the doge being the ruler of the republic). 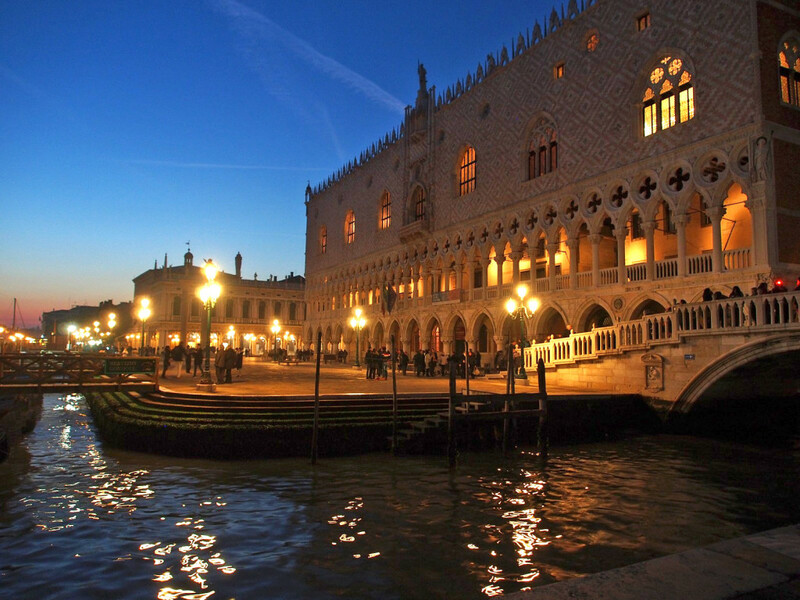 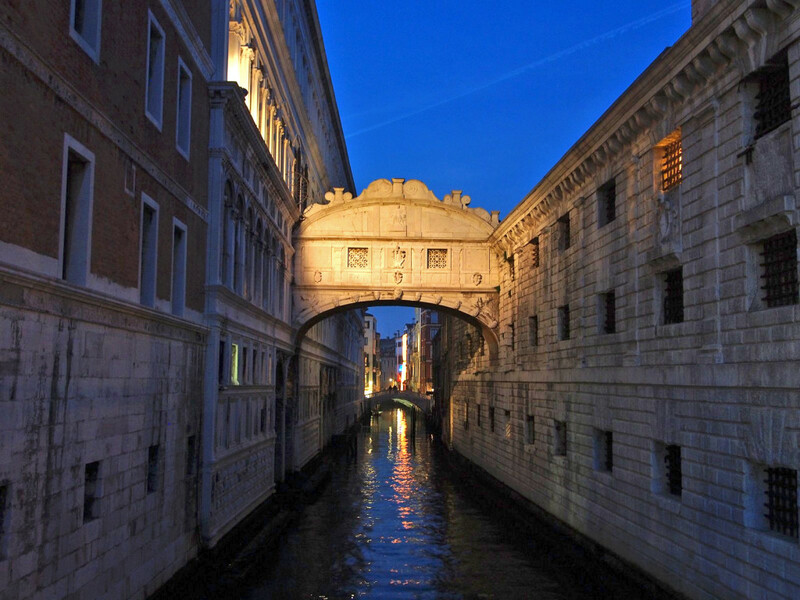 Leading off from one side of the Doge’s Palace is the “Bridge of Sighs” – so named as it was the route condemned prisoners would be taken, and the tiny windows of the bridge would be their last sight of the canals and city – eliciting sighs of regret. 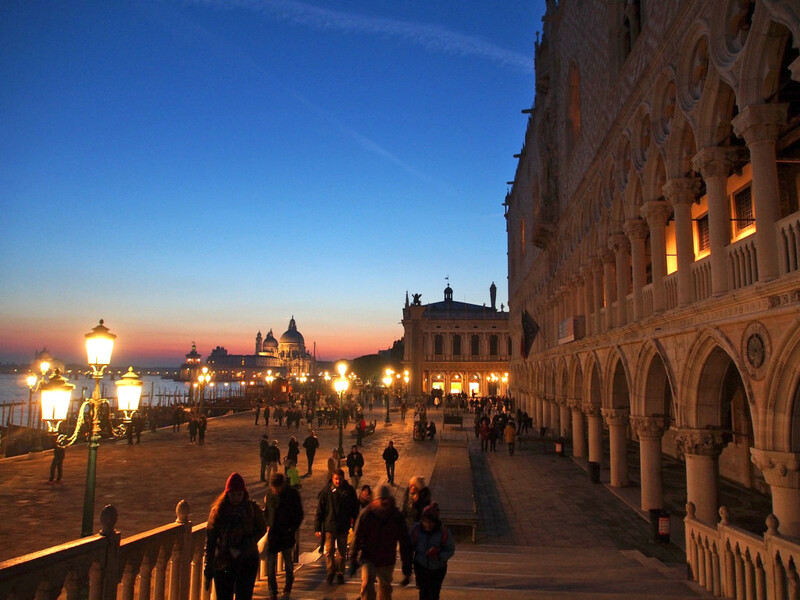 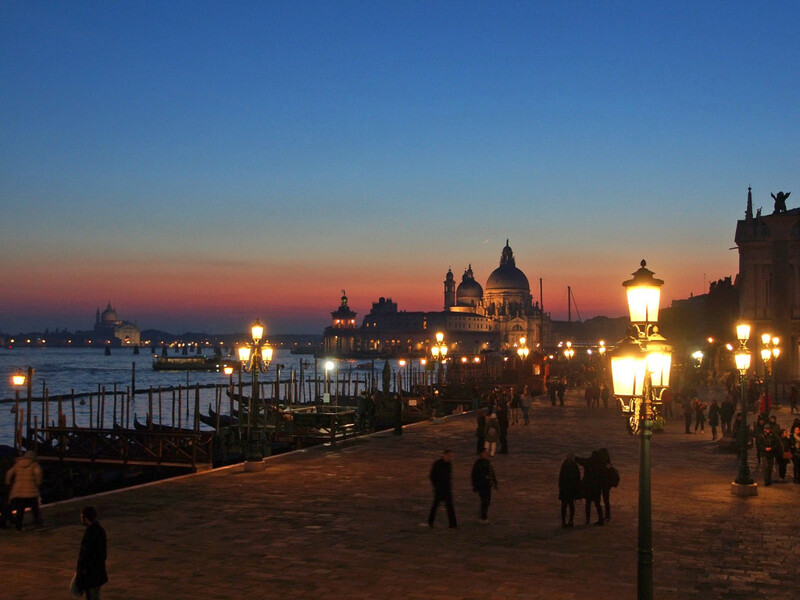 Dusk is a magic time in Venice, with the richly coloured light reflecting off the water and silhouetting the monumental buildings. 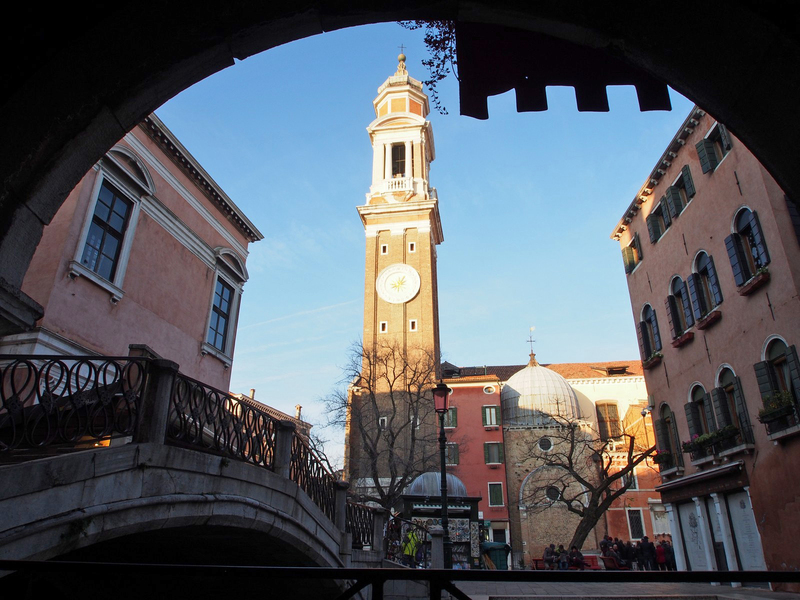 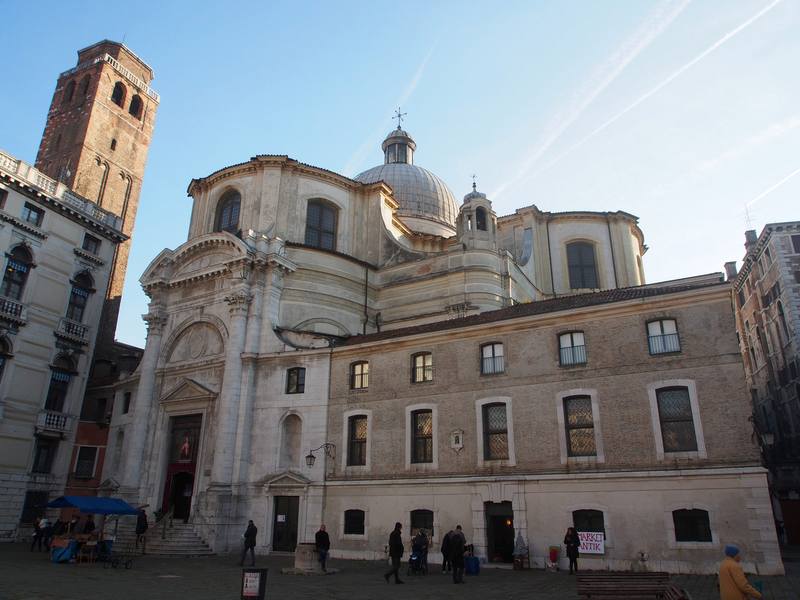 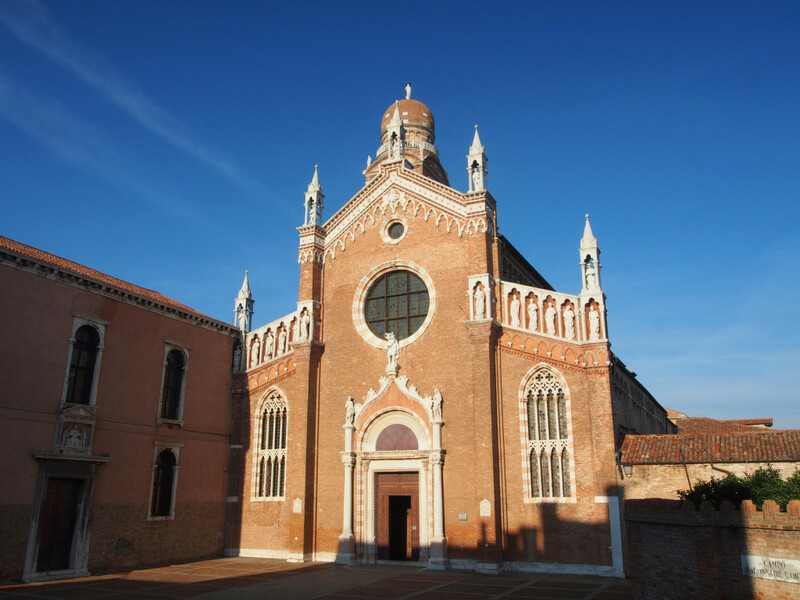 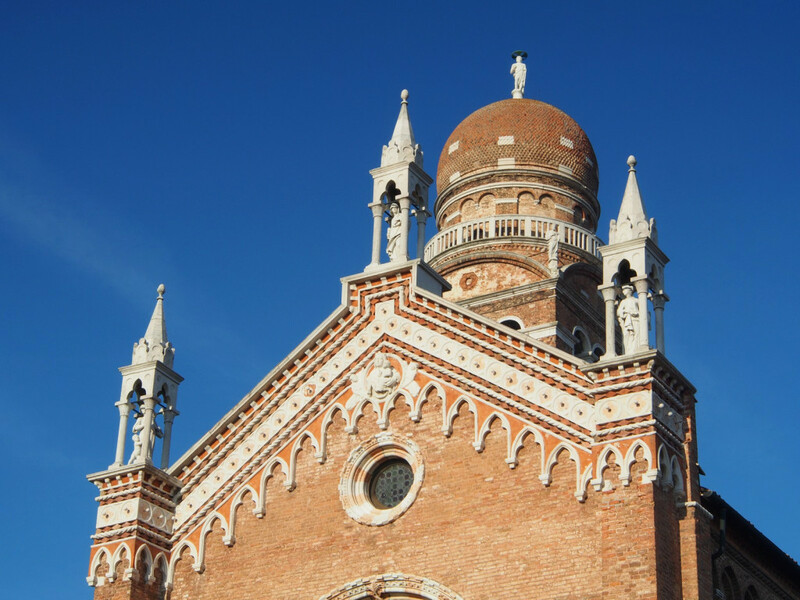 A little further along the foreshore is the Vivaldi church, named for the famous composer who was born in Venice – he was ordained as a priest, and spent much of his early life living and working in this church, including composing many of his early works. 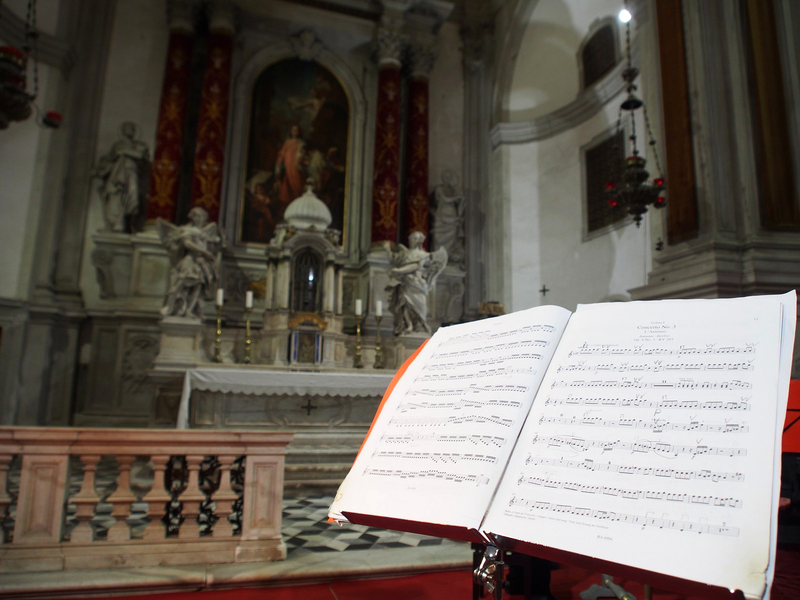 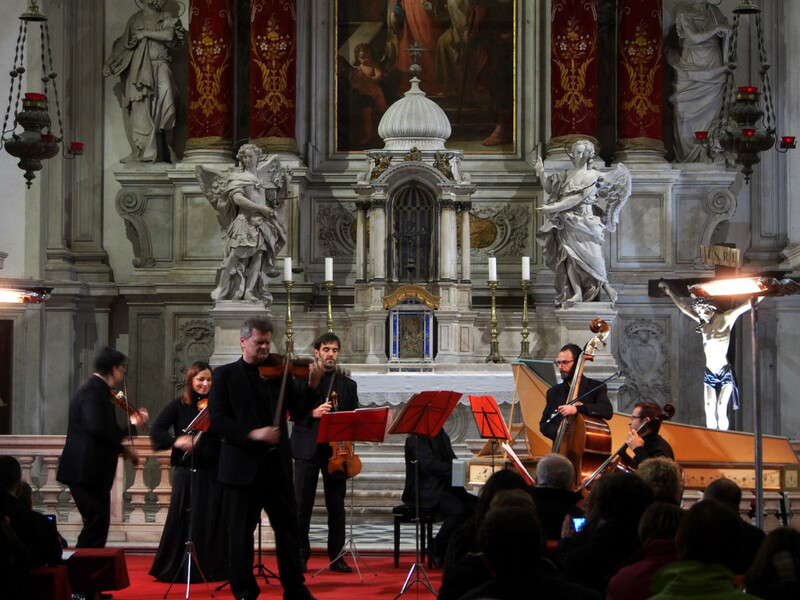 Seeing a signboard for a performance of his best-known oeuvre, the “Four Seasons”, we hurried inside and bought our tickets for that night – it’s a memorable way to experience a live concert, with the beautiful acoustics of church. 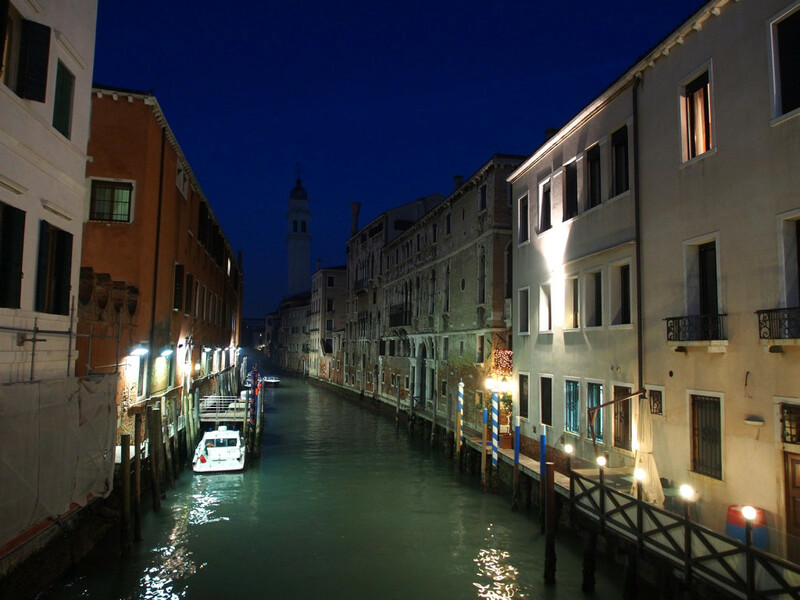 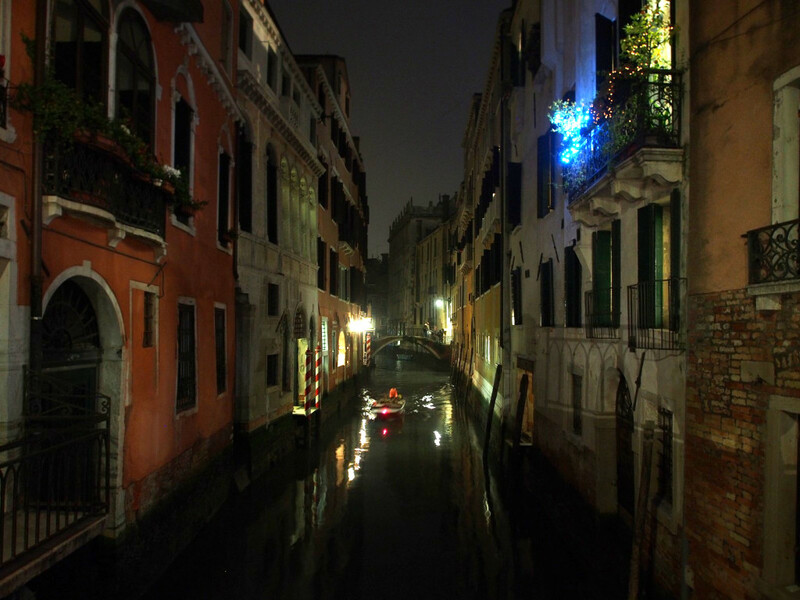 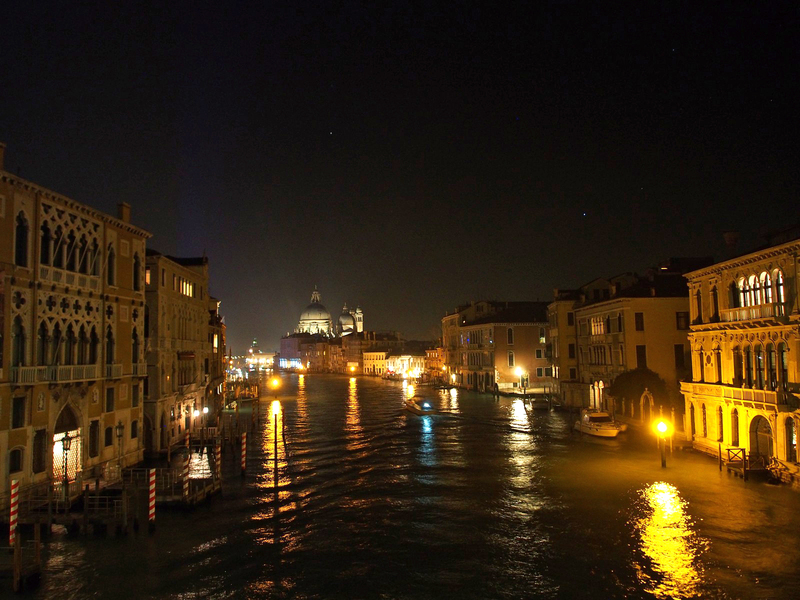 Walking back through the canals and back alleys at night is an experience in itself – the city changes character completely in the darkness, with the sound of lapping water echoing off the walls. 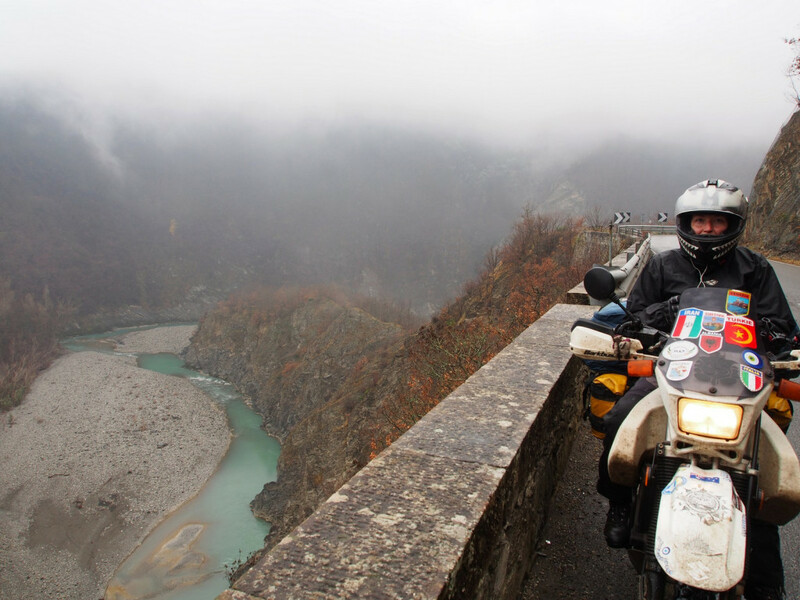 With time running short for our Christmas deadline, we left after only a day in Venice (vowing to return) and cut west across the top of Italy, towards the Ligurian coastline. 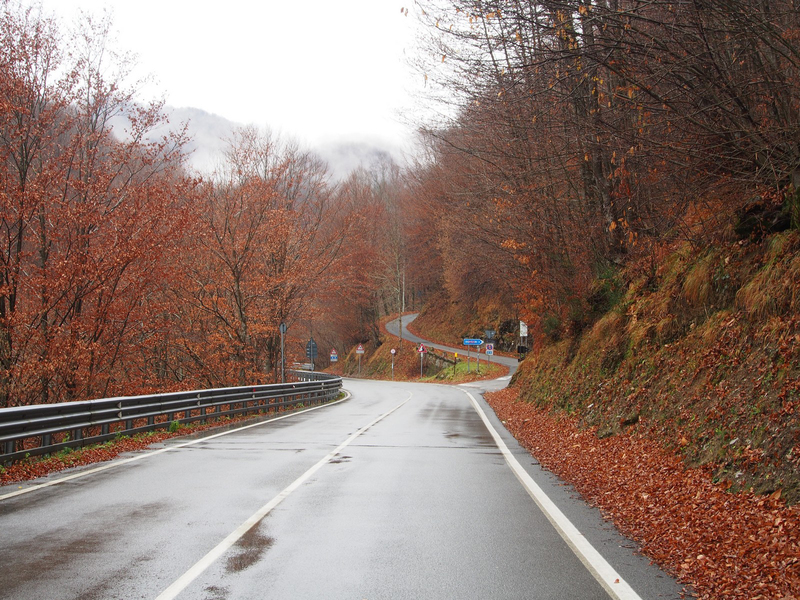 It was cold and at times wet, but that did little to dampen our enthusiasm as we discovered some fantastic backroads that would be instant favourites in summer. 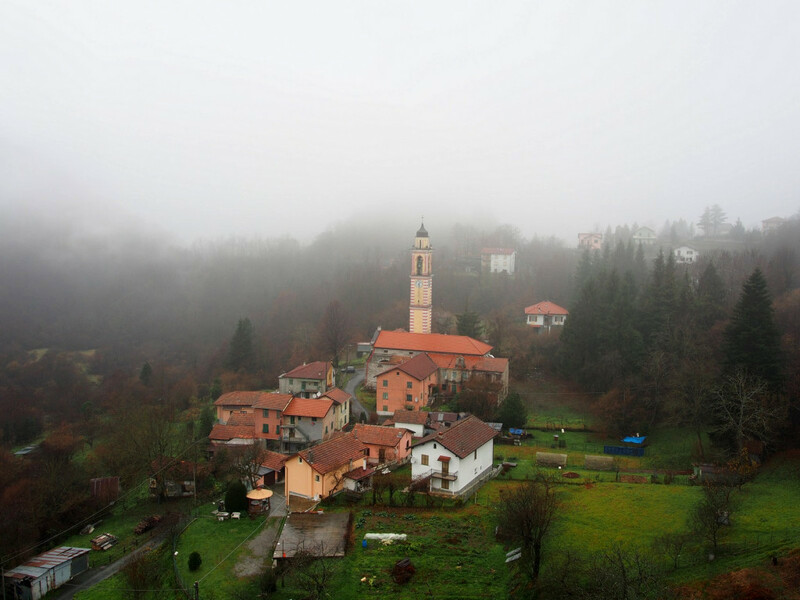 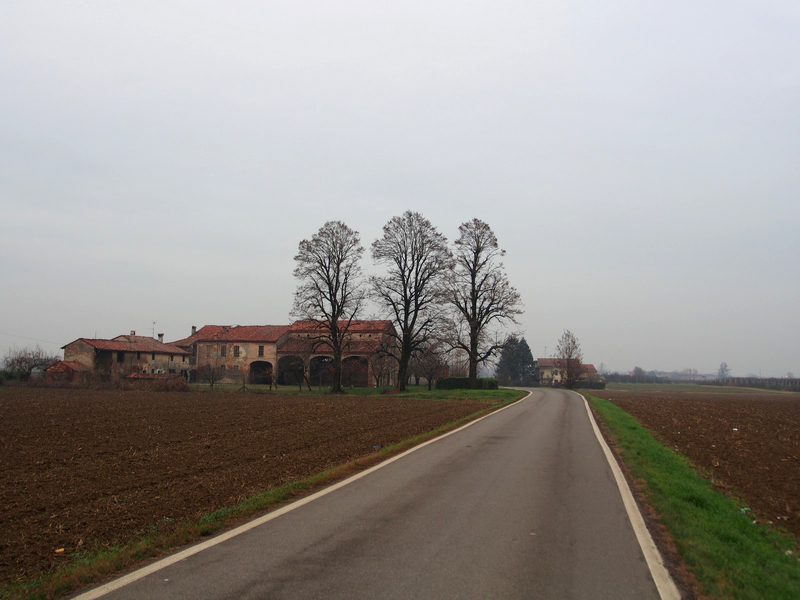 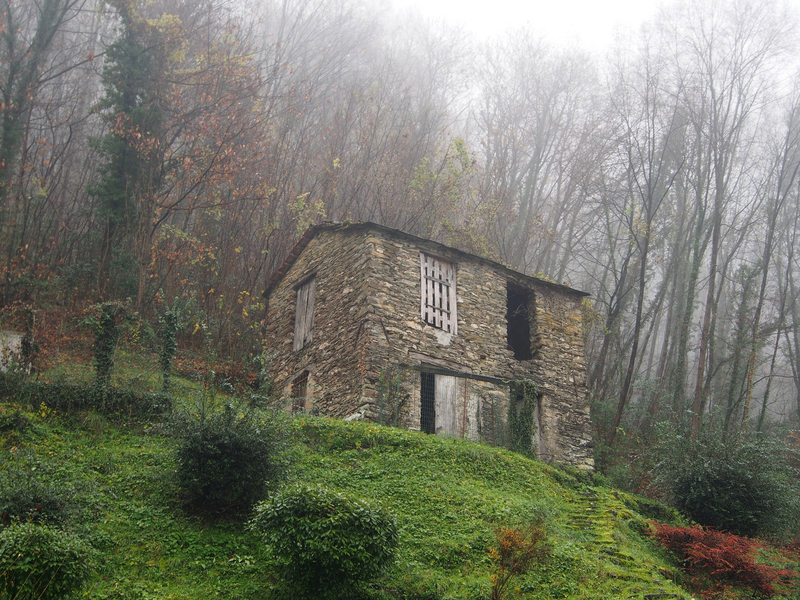 As it was, we rode through tiny mist-shrouded villages that seemed stuck in a time warp. 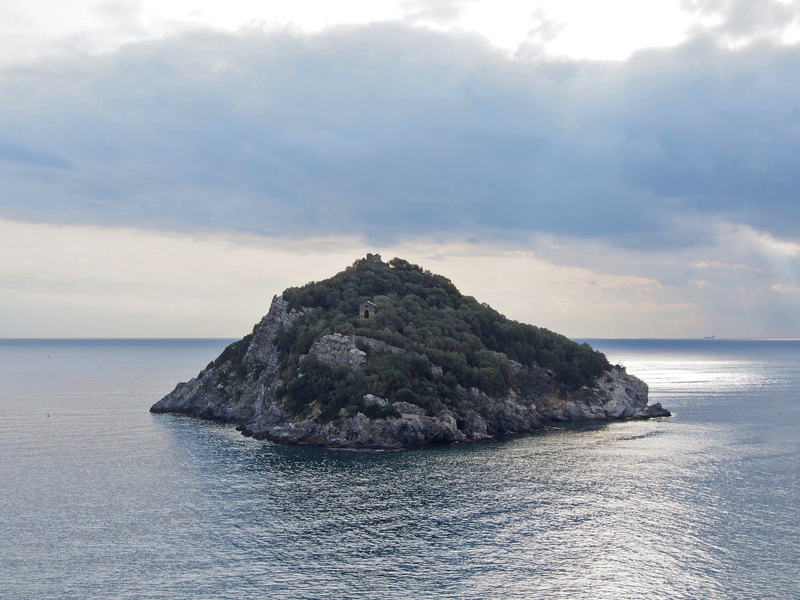 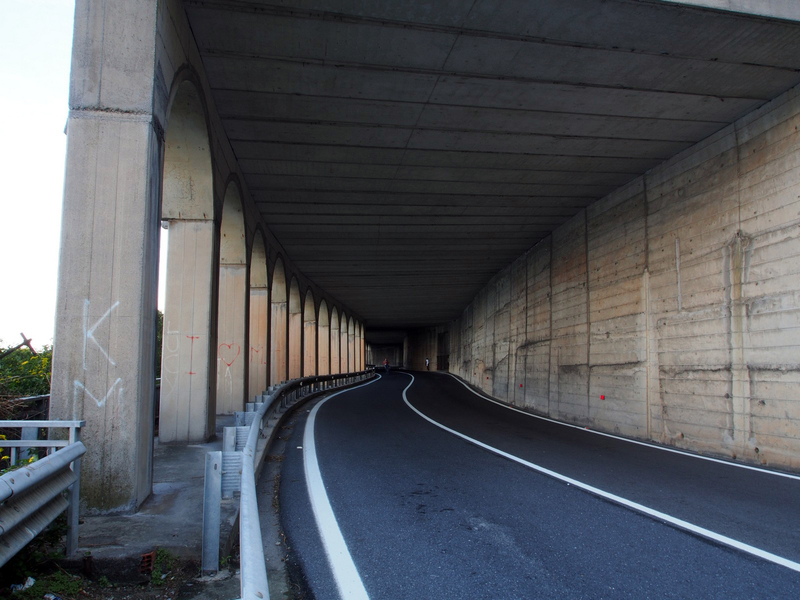 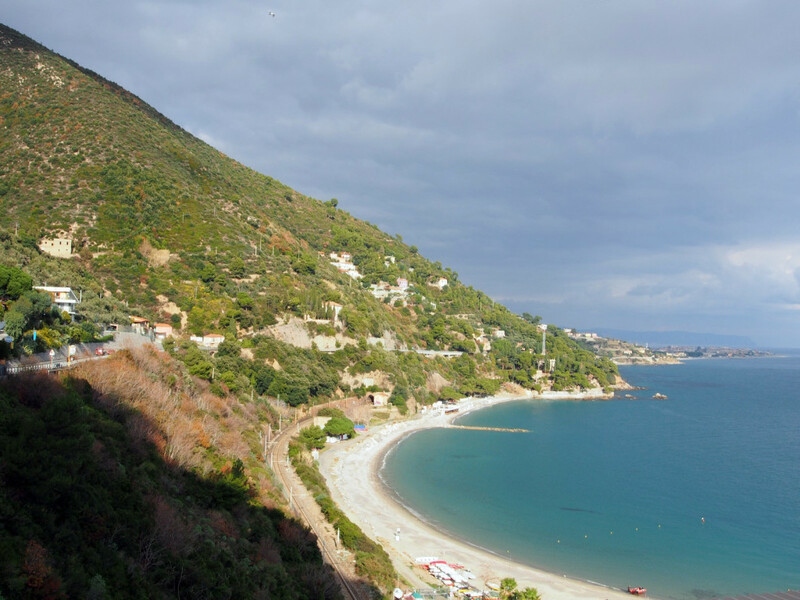 Hitting the coast at Genoa (the other classic Mediterranean trade republic and direct competitor with Venice), we rolled due east along the Italian Riviera – a slow, winding but gorgeous route. 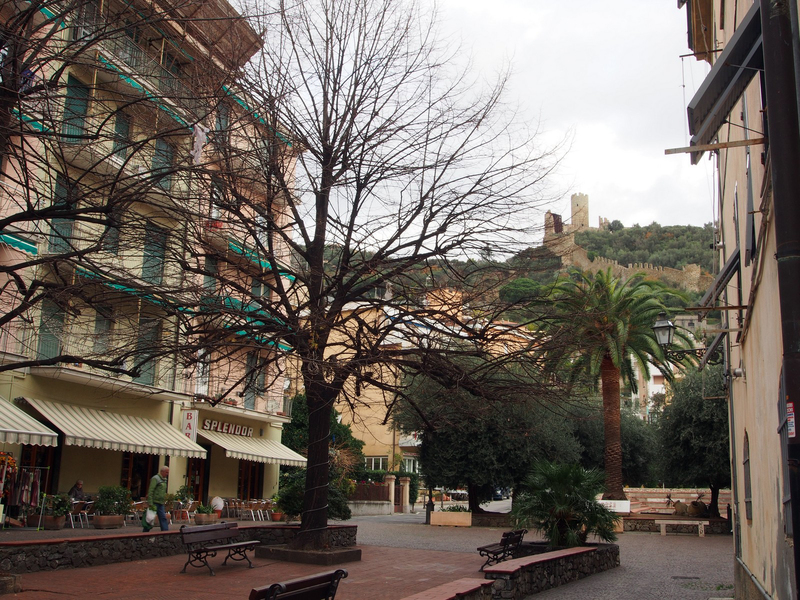 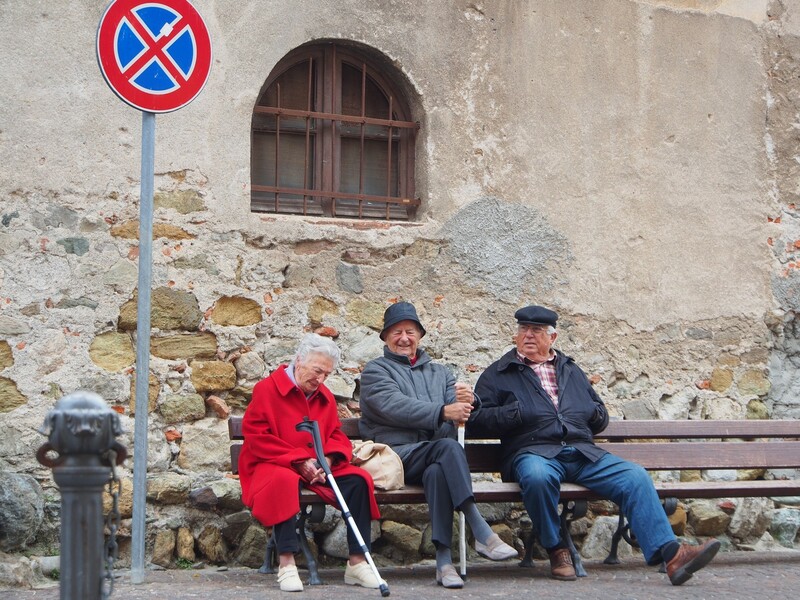 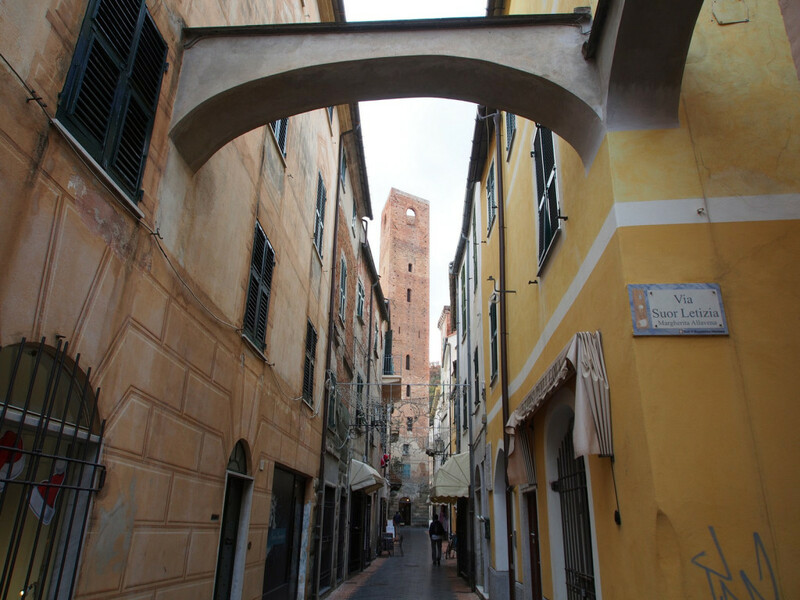 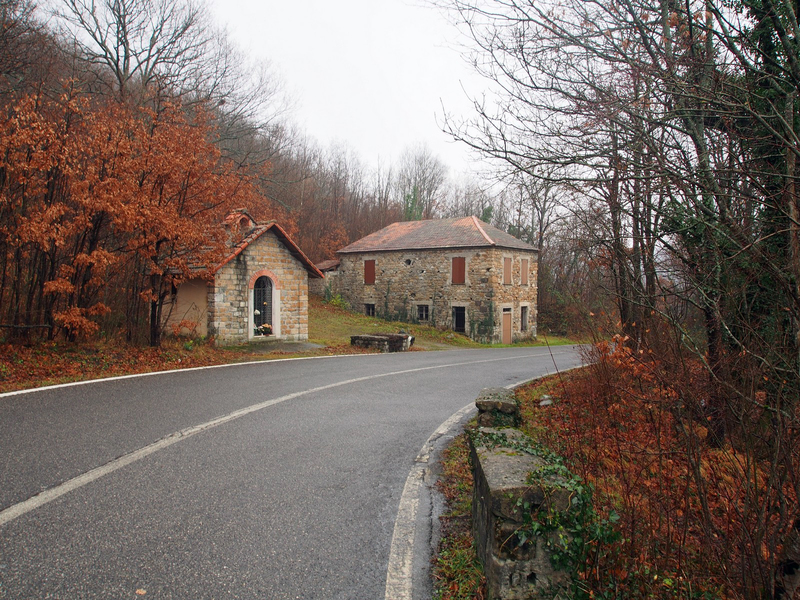 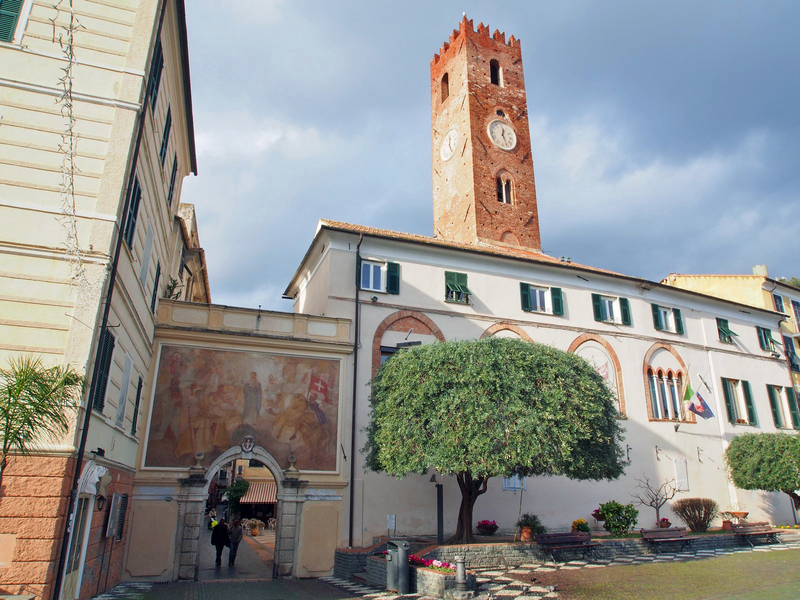 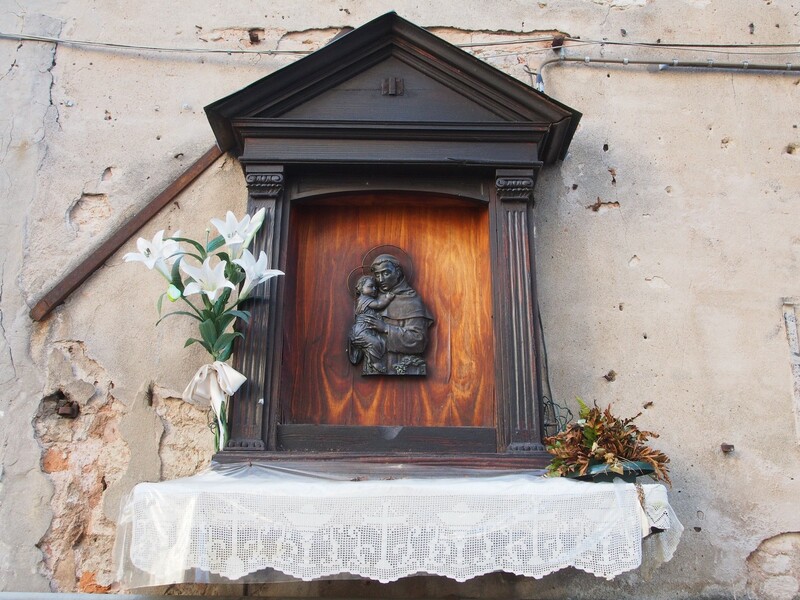 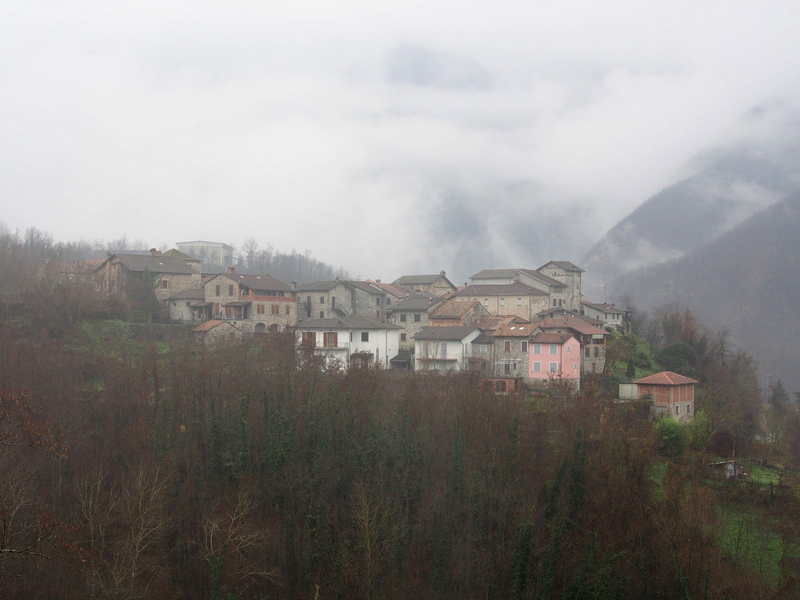 We stopped for lunch at random and stumbled across the town of Noli – another tiny maritime trade republic, at the crossroads of the Genoese and Savoyard spheres of influence. 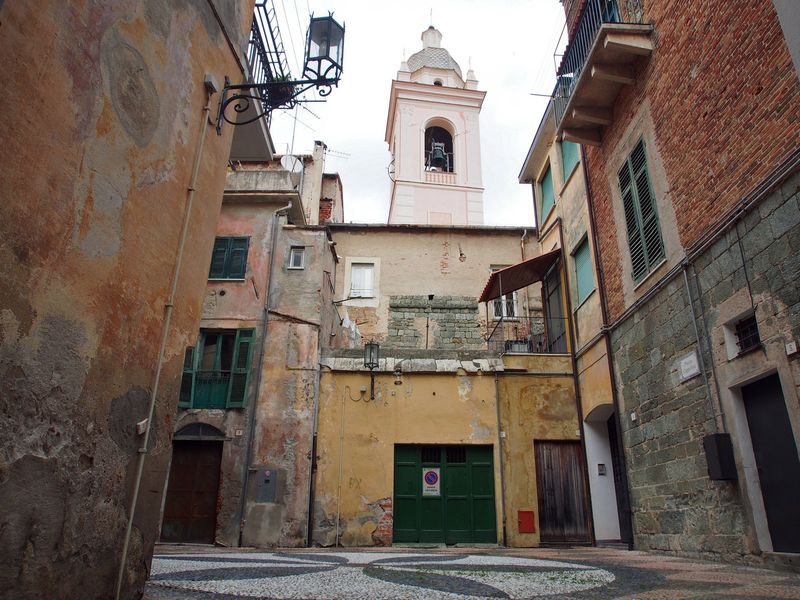 The medieval town centre is well preserved. We kept following the coastline, and crossed the border into France.